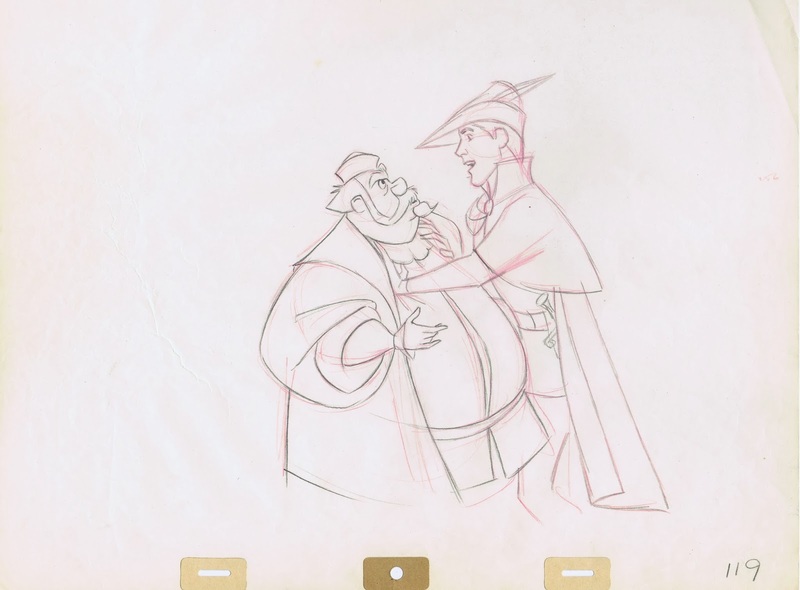 I know I posted about this character before, but there are many fascinating aspect to his development for the film Sleeping Beauty. 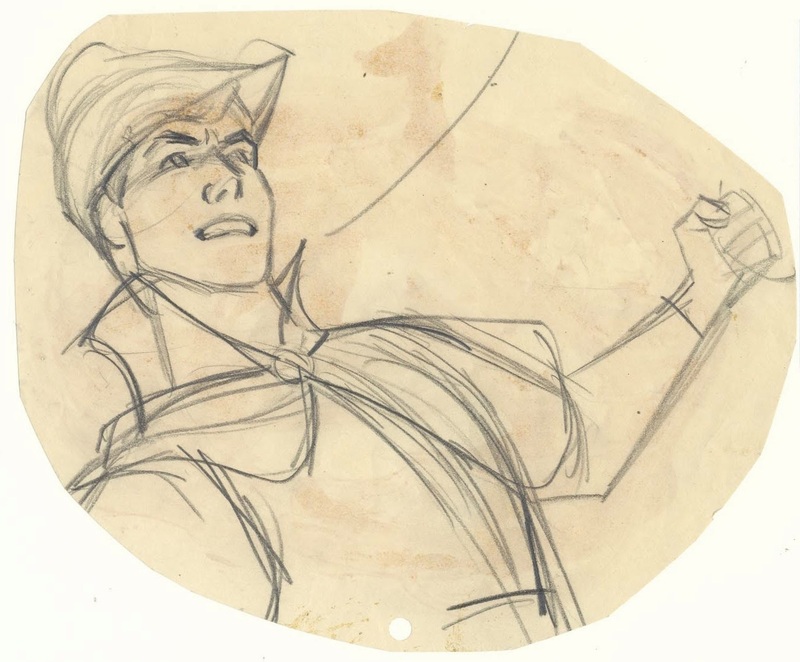 As I mentioned before animator Milt Kahl didn't like the assignment of animating him from the beginning, not the kind of animation you could get your teeth into. 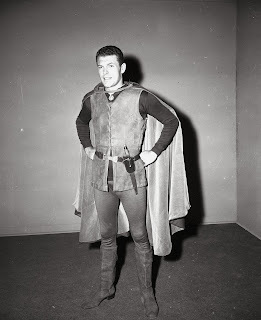 Being the professional Milt was, he did the best he could with the story material given to him. Just imagine how much more interesting this prince could have been if he had a more important role in the film. 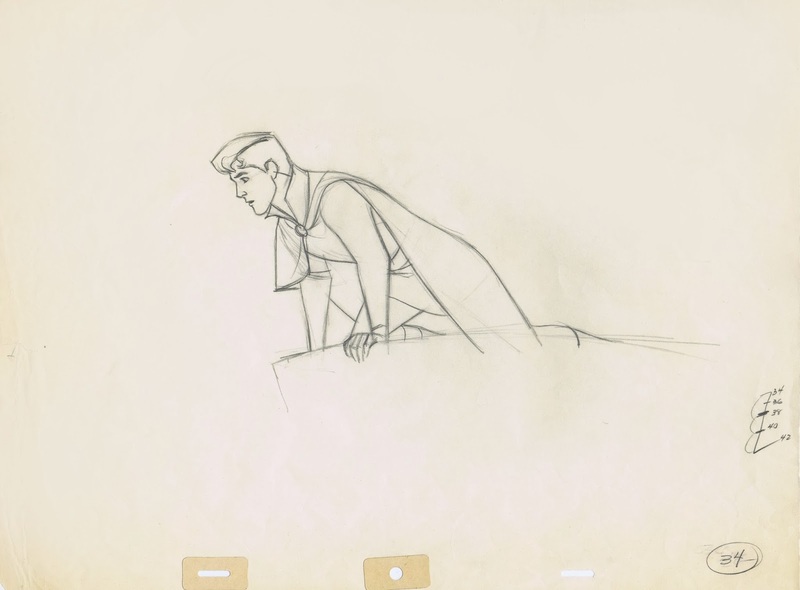 It's a mystery to me why the studio in those days always underplayed the part of a prince, from Snow White and Cinderella to Sleeping Beauty. It seems they saw no potential or entertainment value in the male hero at all. So it is amazing to see that Prince Phillip comes off as well as he does, but I do believe that this is mostly due to Milt's hard work. Here are a few images that show Phillip's visual development. 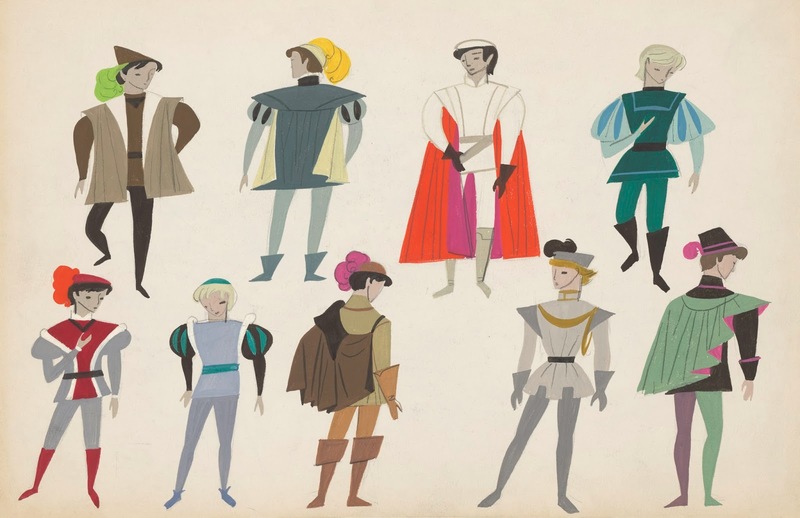 Beautiful early costume research, possibly by Mary Blair, but I'm not sure. 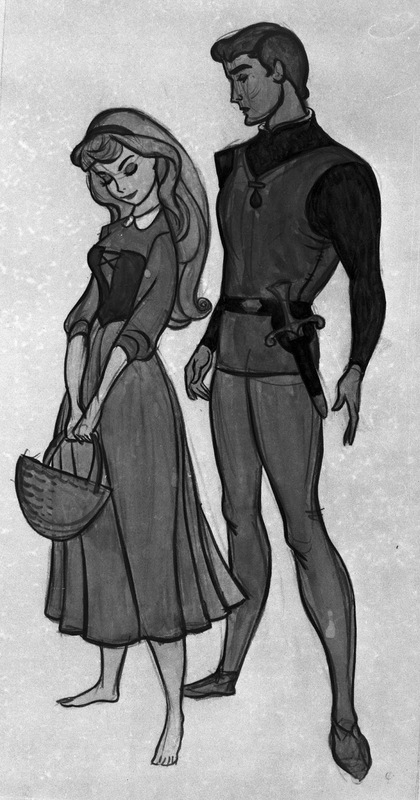 Marc Davis was the first animator/designer to work on Sleeping Beauty. This is his version of the prince. Milt thought he didn't look masculine enough. Live action reference was provided by actor Ed Kemmer, who was known for his role in the 1950s science fiction TV series Space Control. 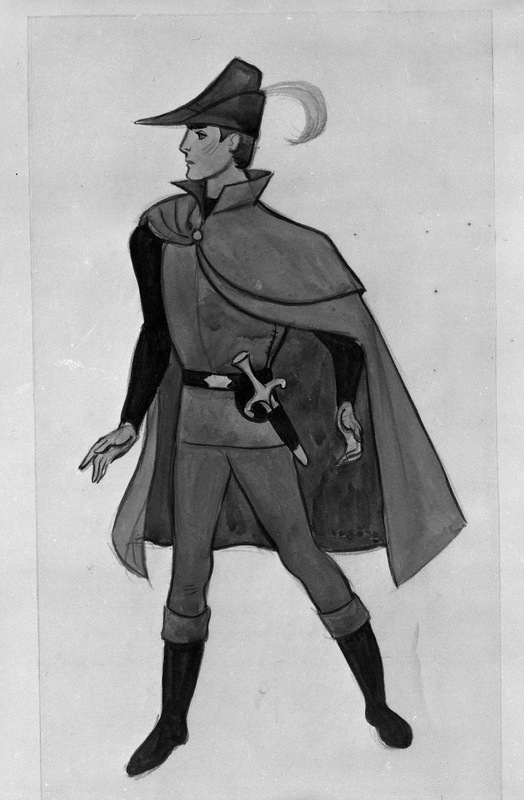 Milt's original version of Prince Phillip. Walt didn't care for his sharp facial features and asked Milt to alter the design. 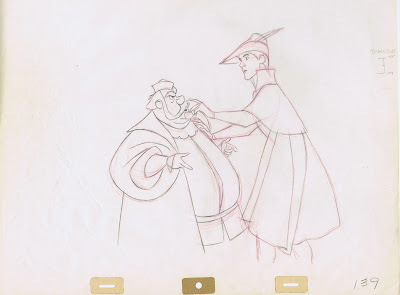 Phillip argues with his father King Hubert. 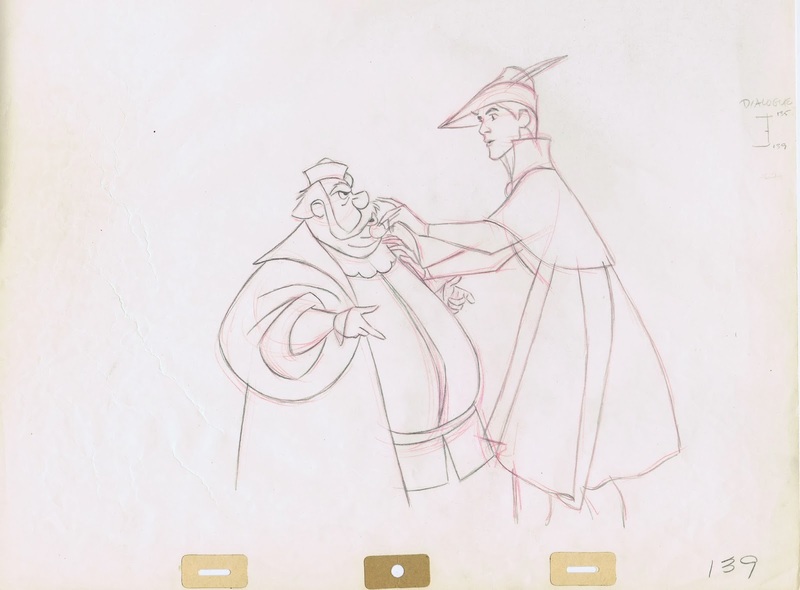 Milt animated both characters in this scene, but for some reason he only tied down the prince with pencil, the king was finalized by somebody else. Milt didn't animate any action scenes, but he helped other animators to keep the prince on model. A photo stat and the corresponding animation drawing. 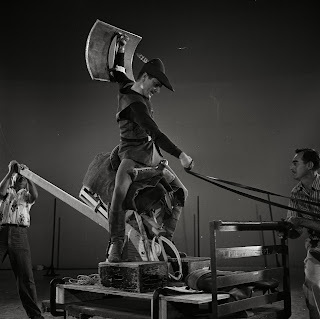 They reveal how Milt was able to look at live action reference and find the essence for his animation. 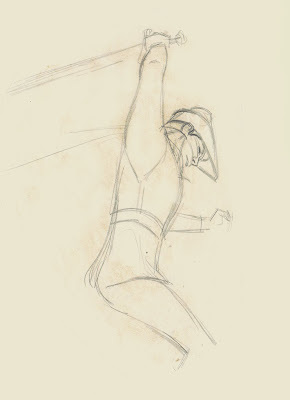 Looking at this drawing, Frank Thomas told me once that only Milt Kahl could simplify the human body this way. His part might have been small in the movie, but Prince Phillip made the cover of a few beautifully illustrated story books as well as promotional material. Is it only me or...in some scenes in movie Prince Philip's face looks a lot like faces of Hanna-Barbera male heroes characters? 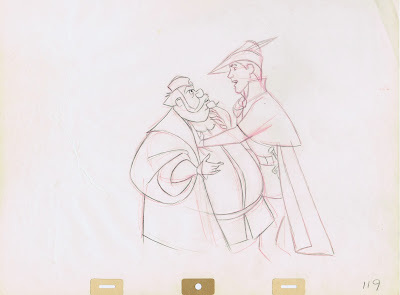 Even if Philip's rôle isn't as developed as Aladdin, Naveen or Flynn, Milt gave him a personality/ a presence and he animated him wonderfully. 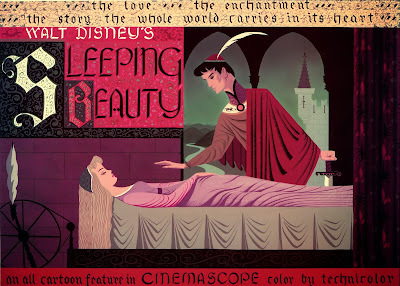 If Sleeping Beauty is such a masterpiece, that's thanks to three grand artists: Marc Davis, Milt Kahl and Eyvind Earle! Ever since I saw it pointed out elsewhere, it's bothered me that Philip had no speaking parts in the second half of the movie - he's essentially mute after his dialogue with the father. Is there a behind-the-scenes reason for this? Perhaps the story guys thought that Phillip shows more nobility by not talking very much. Just a guess. My guess: there used the "silent protagonist" technique which help the viewer identify better with the character. This technique is widely used in video games. Note that Rose also becomes mute. Or maybe there is nothing to say when you try to escape the jail of a giant dragon ? I really love your blog! Sleeping Beauty is my absolute favourite Disney movie and one my favourite movies over all. 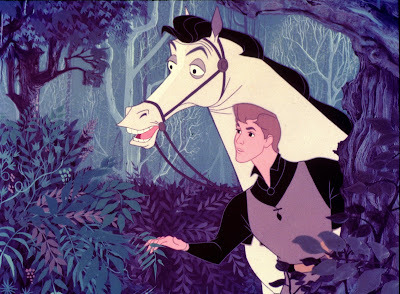 Incidentally, I watched the making of Sleeping Beauty today which had you in it. 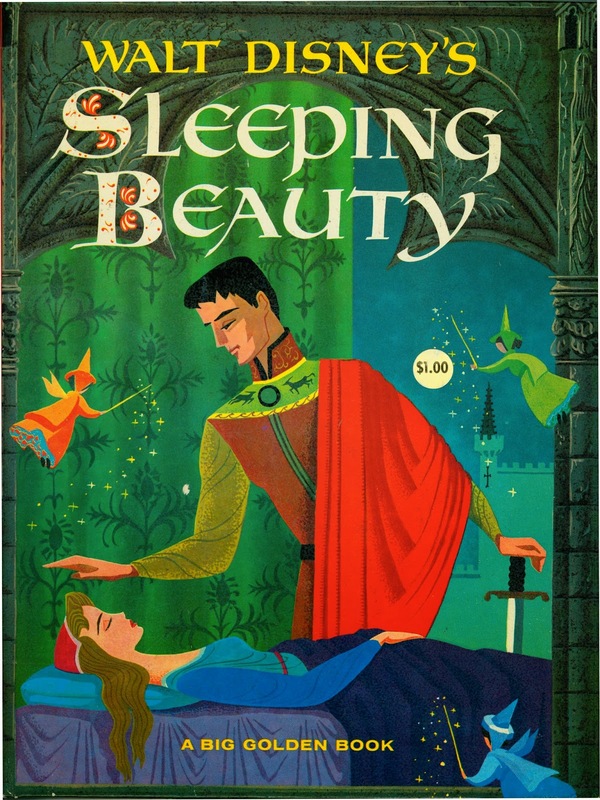 I am hoping for the Sleeping Beauty art book for Christmas this year (the one by Pierre Lambert), a recommendation of yours. 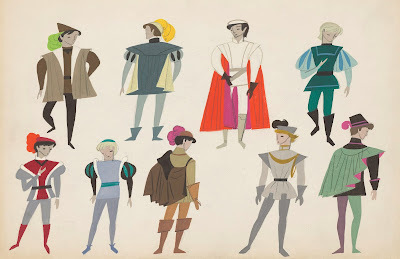 The early concept art definately looks like Mary Blair! Anyway, I love your blog and hope to see many more posts. 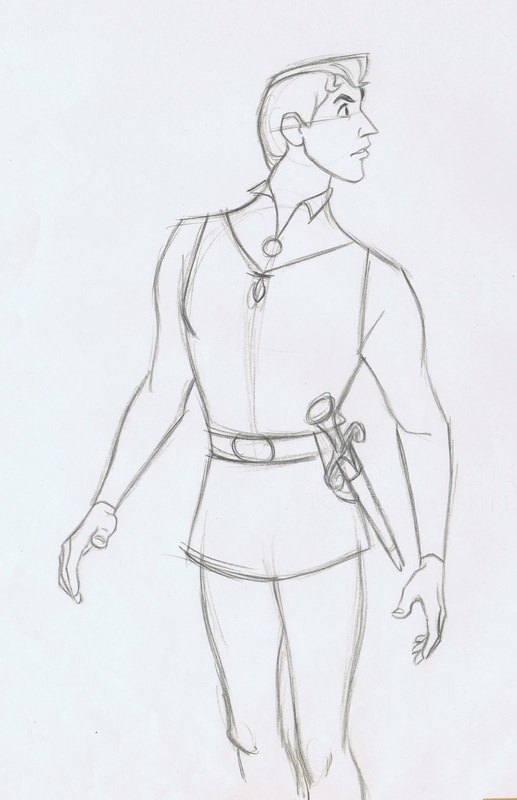 Although, Philip is pretty bland compared to some of the recent Disney male leads, at least he had a more active role the than princes before him and actually had a name! I also find it amusing that Aurora only has about 18 minutes of screen time, then again the film is called Sleeping Beauty. My favorite characters from the film have always been the three fairies. I love how their contrasting personalities play off one another. 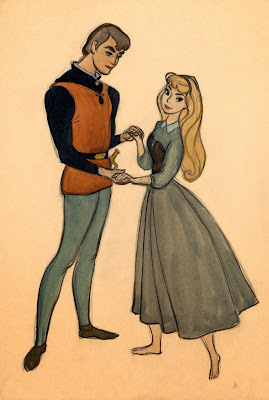 I agree with Natalie that neither Philip NOR Aurora have significant roles in the film, when you look at the actual amount of time that either of them on screen. 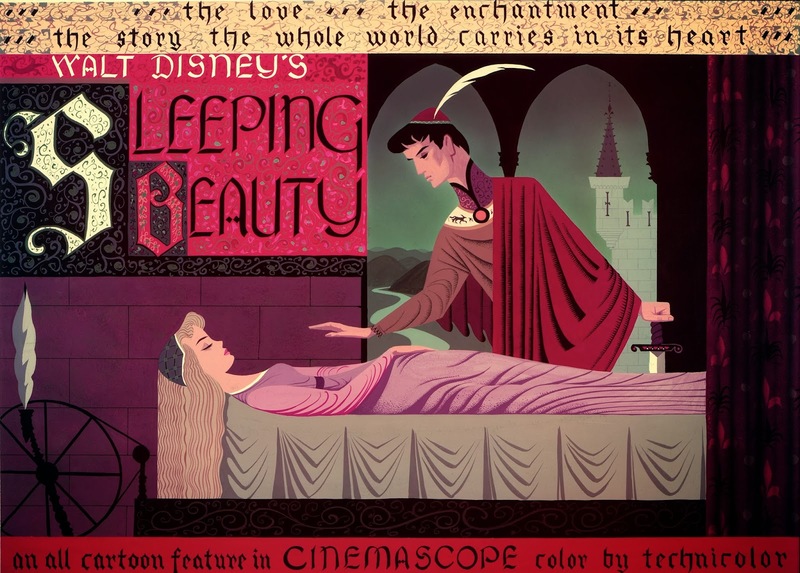 As much as I love the visual style of SLEEPING BEAUTY, it has always remained an unsatisfying film for that very reason - that the heroine is given nothing to do besides sing her song and dance with her prince before being hurried away to the castle, then pricking her finger, and remaining asleep for nearly the rest of the film! Snow White, Cinderella, and even Alice are so much more interesting in their respective films, as they have far more plot to flesh them out as fully developed characters. When I was little, and knew nothing about the work behind films and the development of Prince Philip, I thought his personality and design were dull. But if Milt Kahl had not pushed this character as far as he did, the later princes and male leads would probably not be as rich and interesting characters as Aladdin, Tarzan and John Smith (sort of..) turned out to be. I like the earlier version of Philip with the pointy nose, but it would have been so nice if Kahl had pushed Philip even further. Then the whole film would have been even greater. Say what you want about Phillip, he's always been my favourite Disney prince. 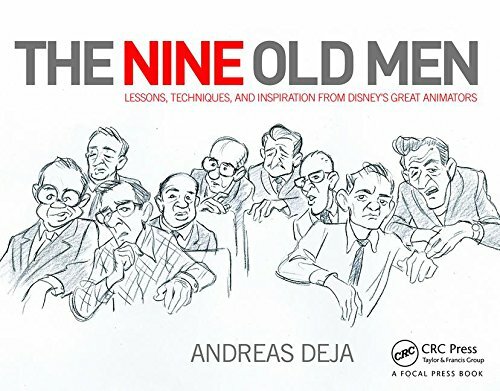 Hi from Italy, Andreas! 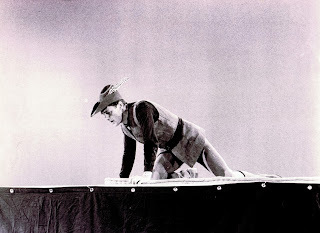 Always loved Philip as character (funny to note that here in Italy he has the same future voice of Kaa and Sir Biss , Sergio Tedesco, who was also an excellent singer) and, when I was a kid I kept running and running the super 8 "Prince and the dragon " home movie! Milt did a wonderful job and I miss so much drawings and characters like this. Thanks for your great blog!